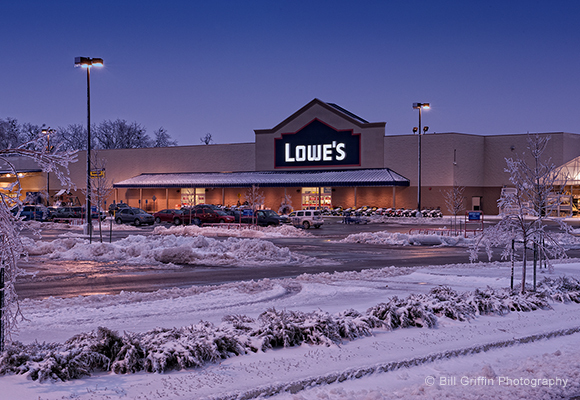 This project included the civil design of a 13-acre Lowe’s site and included the sanitary sewer design. The sanitary sewer design accommodates 42 acres of future development of the adjacent property. In developing the design, it was necessary to perform a capacity study of the existing downstream sanitary sewer systems. Sanitary sewer flow monitors were installed at strategic locations in the receiving sanitary sewer system. The monitors recorded flow data in 15-minute time increments over several weeks. The data was then compiled into a report detailing the operation capacity of the existing sanitary sewer system. The report included infiltration/inflow and peaking data. The report gave the local municipality (Mt. Sterling Water and Sewer) the information they needed to determine the excess capacity remaining in their sewer system. The sanitary sewer design included the construction of 2,763 LF of new 8” sanitary sewer line. The project was designed to accommodate the future growth of the development.